Our multi-cuisine restaurant is known for its warm and unique ambiance. The restaurant opens at 7 in the morning and remains busy till 11pm at night. 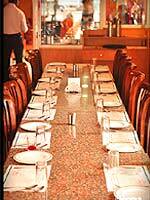 Its delicious multi cuisine food and a capacity of 200 sitting are well supported by prompt delivery. Our menu gives you a chance to taste different varieties of cuisines from all around the world at a single place making your dining experience a memorable one! To add more to it, the pleasant interiors of our restaurant make it an ideal place to come, relax, enjoy, and meet people. Its not just only food but everything about our restaurant makes it one of its kind and a memorable place to chill out. Subscribe to receive deals and updates by email.